FAITH IN MUSIC: Jazzahead 2018! Three years have been passed with the blink of an eye. I can still remember the “younger” passionate man entering to Messe Bremen for the first time in 2015. Jazzahead was a mysterious event for me at that time. 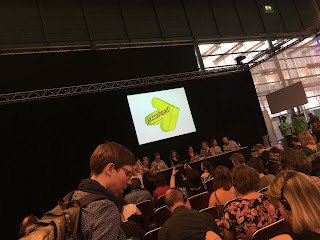 It was both like a professional meeting hub for stakeholders in jazz department of music industry and a jazz festival for those who are interested in rising stars in Europe. It was one of a kind event and to be very honest, my profile was not that much common either. I was just a freelance blogger trying to decide on what I can do to support jazz business and could manage to meet a lot of professionals from various sides, which made me return to my home with satisfactory answers. During this long blink of an eye, actually, things have been changed a lot for me. I needed to focus on my engineering career and had to decide on where to live for the rest of my life. With the help of familiarity I gained during my jazz trips to Rotterdam for North Sea Jazz Festival, the expat city of these cute country became my new home. I moved to Eindhoven with my family in the beginning of 2017. Although these two years between 2015 and 2017 were musically too silent for me mostly because of the time I invested in my professional life and my new born baby girl Melody, this new location made it easier for me to reach at jazz events with short driving distances and triggered me to create a more international jazz circle around me. The blogger became an insider for European jazz from then on, instead of the direct and stubborn Turkish reviewer of the foreign scenes. By means of all these experiences, the ideas are settled, the pink glasses coming from enthusiasm are taken off and a more objective point of view has been gained before jazzahead! 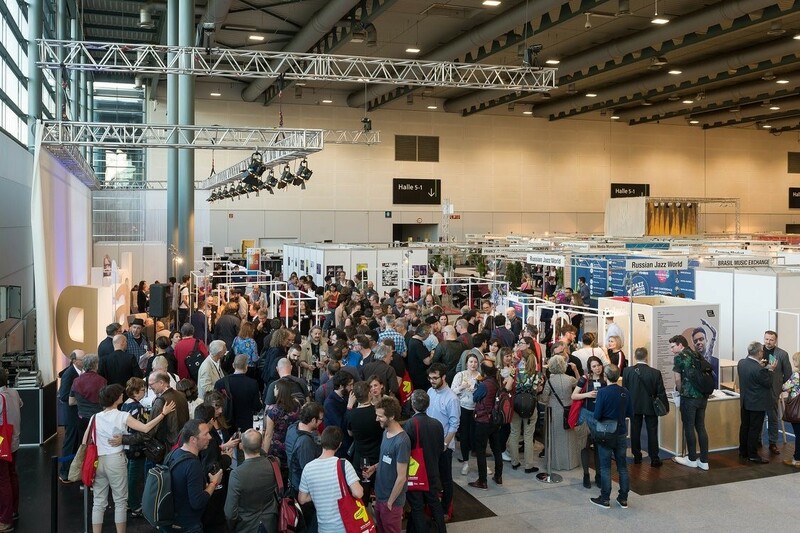 2018 opened its doors for the fair on April 19th. Thus I found myself once more in Bremen with no flying wings or a solid purpose this time. The only thing I was looking for may be a new excitement for a fresh feeling for jazz or any new idea that can push me to do something about this music. I believe that I came back to my home with some ideas that I should work on to decide what can be done better to keep communication channel in networking between jazz professionals more efficient and reliable. 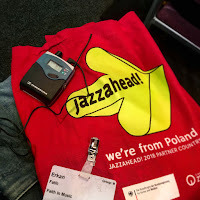 This year was Polish year of jazzahead with the motto “We’re from Poland” and I really liked their performances in the first day. Marcin Wasilewski Trio was -not surprisingly- very good, playing a short set started with their nice album Spark of Life. Joanna Duda Trio was a new name for me and I really liked the new innovative approach there, creating an energetic and full-of-tension music. Atom String Quartet was a band that I have been trying to catch somewhere for a while and to be honest the performance was among best showcases there at jazzahead. 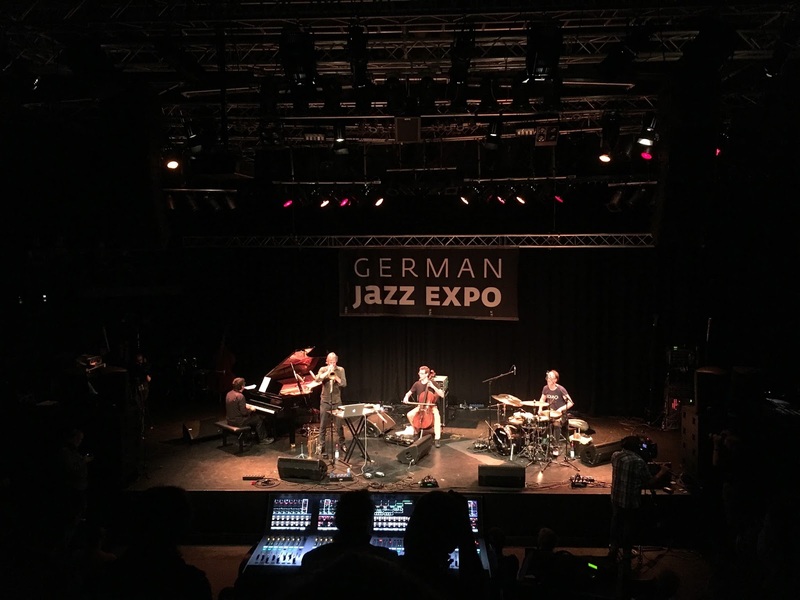 The second day started very powerfully with the unique Greek influenced - a little bit oriental - Sokratis Sinopoulos Quartet and the successful performance dominated by an amazing lyra sound swirling around groovy improvisations, gave an idea why ECM released their album in 2018. Emilia Martensson was like a silky vocal touch in between challenging trials of other showcases. Einar Scheving Quartet was as Icelandic as possible with the dignified and catchy compositions. Oskar Gudjonsson from ADHD was detected immediately with his unique touch on sax. Horse Orchestra were the crazy guys of the event and their performance proved that they are not just made of their weird images but really good at what they are playing. Adam Baldych and Helge Lien Trio was top notch as expected from my side and it looks like as time passed the band started to create a real organic collaboration also thanks to two albums now released from ACT. German jazz expo started with en excitement on Simon Nabatov with Fearless Trio but it was a deep disappointment that I could not listen to him since he has been replaced by another pianist. Daniel Erdmann's Velvet Revolution was very promising with their album which is awarded by German Critics choice of the year and their performance was aligned with what is expected. Markus Stockhausen's Quadrivium was again presenting state-of-art contemporary jazz music. Among the overseas night performers, Petros Klampanis Group was interestingly familiar with an oriental touch on double bass supported by string accompaniment and jazzy compositions. Gregory Privat Trio added interesting compositions on an ordinary piano trio configuration and Martinique roots of the pianist gave the unique pattern in their jazz interpretation. Frankly, the line up for showcases and jazzclub night was not that much impressive in general. ECM was presenting their new releases with some performances but there wasn’t an individual ECM night. ACT was there with management and they were presenting some musicians with some showcases but the dominance of the label was not that much visible as it was before. The performance halls in Messe was spacious and comfortable. Although I found the near field listening experience satisfactory I have heard several remarks from the audience considering poor sound quality especially at the back side. 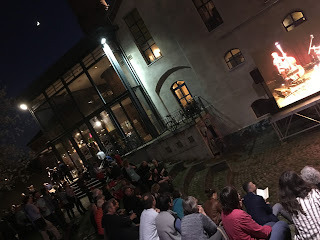 Kulturzentrum Schlachthof was better equipped also with an outdoor stage supported by live stream on a big screen. The showcases were 45 minutes only for overseas night. The rest was just half an hour which - I suppose - makes it a little bit stressful for musicians to present themselves in a way that they feel satisfied. The meetings were focused and qualitatively presented with good equipment. 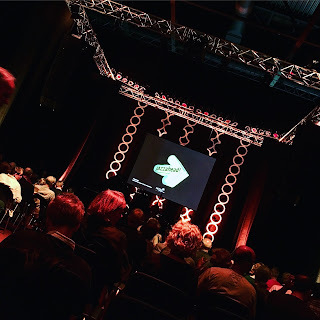 Professionals look really like too busy with their meetings and the way the stands and all the other locations are designed and built were more structured than what I saw three years ago. I have heard from some of my manager friends that they could not see real decision makers and leaders of European jazz around. 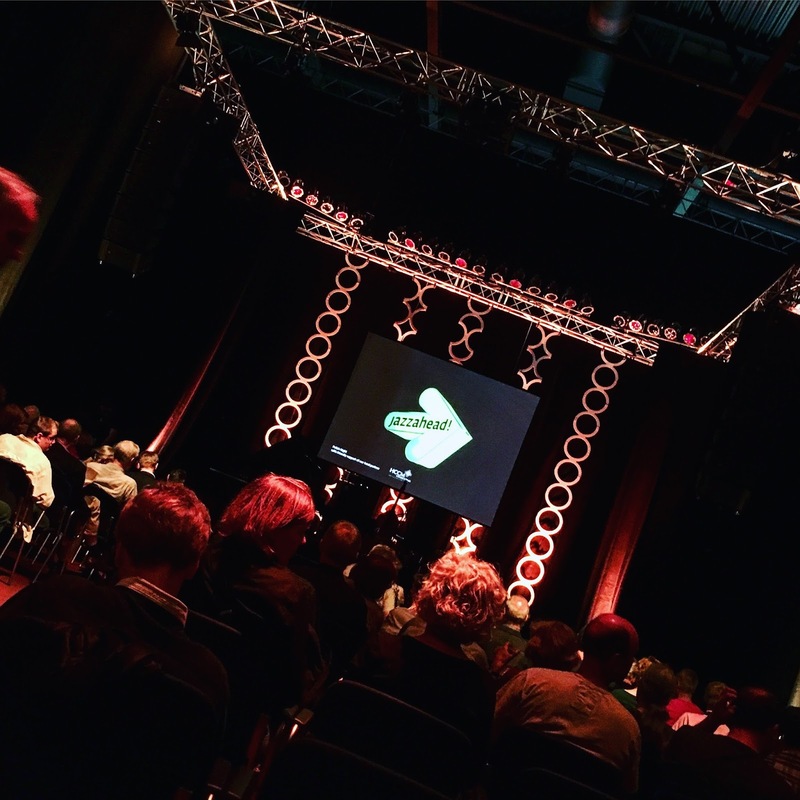 Jazzahead is a very necessary and to the point event considering the mission it carries on. 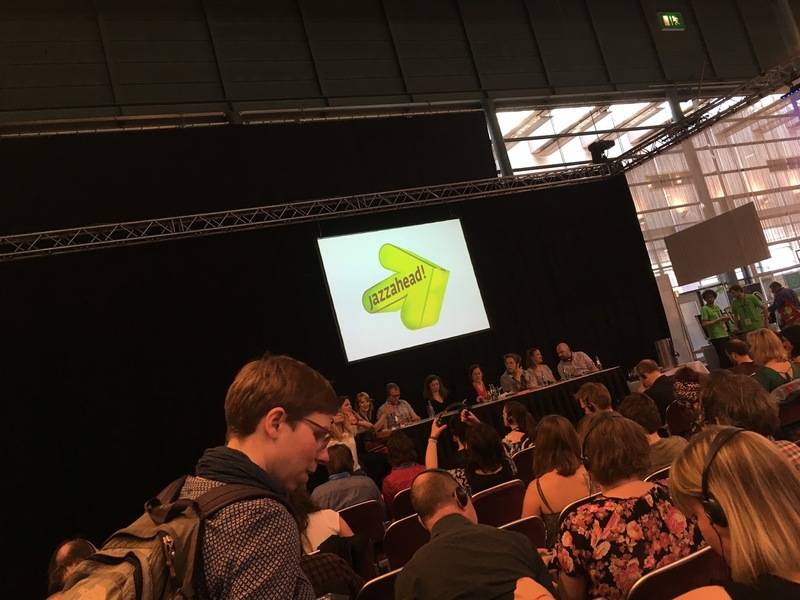 However this does not mean that it is sufficient to help all the new jazz professionals who have dived into a really tough business of making themselves visible and audible. It is obvious that sharing what is gained is not enough in this cruel finance-based era. Something needs to be done to attract money from other parties towards the jazz industry. Somethings need to be done to gain the attraction of music listeners to pay money for good music and this money spent should be directly reachable by real labour owners. In other words, trade fair in jazz should be applied by its real meaning instead of keeping it as a hype motto.